THE FINEST COACHING. COMPETITIVE PLAY AND TRAINING. HIGH LEVEL TOURNAMENTS. PERSONAL ATTENTION AND SERVICE. INTERESTED IN JOINING OUR SPRING TEAMS? E-Mail NYBLUEBIRDSBASEBALL@Gmail.com to arrange a tryout! 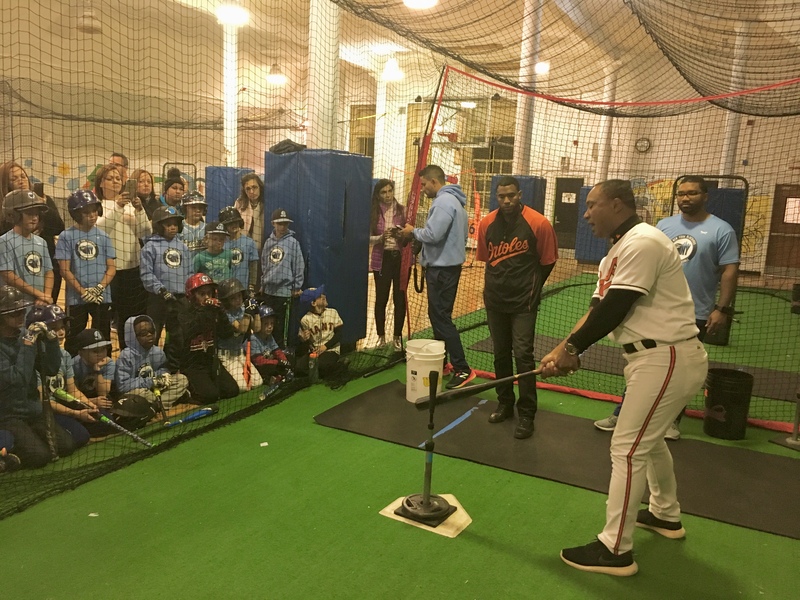 We were honored to host Former MLB All-Star Melvin Mora and fifteen year MLB veteran Endy Chavez for a hitting clinic in our gym with our Bluebirds players! NY Bluebirds Travel Baseball offers competitive players a chance to further develop their skills in a more intensive format. With our Senior instructors and comprehensive pro-style training system, players can develop quickly and become a part of one of our dynamic teams. WHY THE NY BLUEBIRDS TRAVEL PROGRAM? - MORE PRACTICE TIME with dedicated fielding and hitting practices. Some teams have multiple fielding and hitting sessions.